The Ukrainian side had not issued a notification of the opportunity to be evacuated to the DPR, shelling of the evacuation area from the Ukrainian side continued, DPR Defense Ministry spokesman says. MOSCOW, February 6. /TASS/. 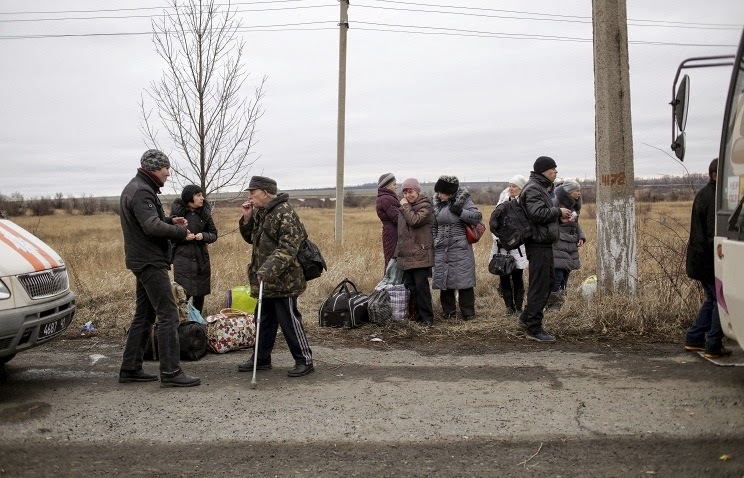 Evacuation of Debaltsevo civilians to the self-proclaimed Donetsk People’s Republic (DPR) has been disrupted through the fault of Ukraine, DPR Defense Ministry spokesman Eduard Basurin told the Donetsk news agency on Friday. Basurin said the residents had not been told of an opportunity to go to Donetsk. "Forty people arrived at the place of evacuation. People failed to come as the Ukrainian side had not issued a notification of the opportunity to be evacuated to the DPR. People don’t know anything," he said. "When we entered Debaltsevo, there was a provocation, fire was being delivered from the city." According to the Donetsk news agency (DNA), a convoy of about 20 nearly empty buses is heading for Donetsk. Shelling of the evacuation area from the Ukrainian side did not stop, with both artillery and sniper fire being delivered," a DNA correspondent reported from the site. LUHANSK, February 6. /TASS/. Three local citizens were injured as Kiev forces shelled the Chernukhino village, near Debaltsevo, during the evacuation effort, the emergencies minister of the self-proclaimed Luhansk people’s republic said on Friday. "At the moment, our ambulances have already taken three civilians who tried to get out of the village," Sergey Ivanushkin was quoted by the LuganskInformCentre as saying. 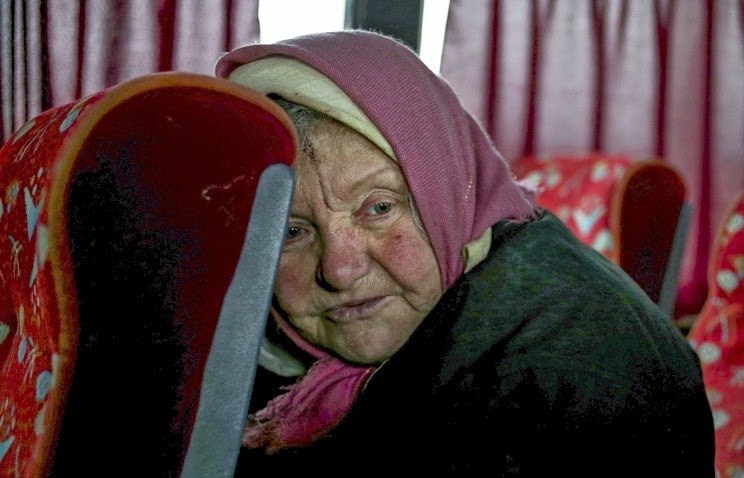 The injured people have been taken to a hospital in the neighboring city Perevalsk, the minister said, stressing that amid the shelling citizens are being evacuated only from a highway close to the village. "Unfortunately, Ukraine has failed to confirm its readiness to let people go. They were forced to walk to the highway where we are taking them," Ivanushkin said told the agency. Earlier on Friday, the LuganskInformCentre reported that Kiev military opened fire on Russian reporters and local civilians during evacuation effort in Chernukhino, thus violating the earlier agreed truce. The Luhansk republic’s leader, Igor Plotnitsky, said earlier in the day that an agreement had been reached with Kiev's military to open a humanitarian corridor at 10.00 a.m. for evacuation of residents from Chernukhino located in the area of combat actions. By mid-day, more than 50 people managed to leave the village in their personal cars.